Americans love the outdoors with about half participating in some kind of activity that brings them close to Nature. Backpackers are an elite group among them. Over 10 million people took to the trails in 2015, a 10-percent increase over the previous three years. It differs from camping on several fronts. For one, you are the mule and not an RV or car. 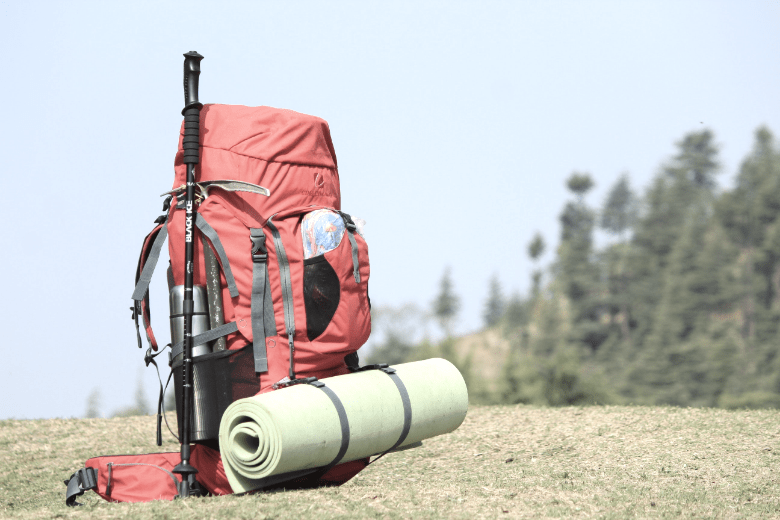 Therefore, weight is a crucial issue, making a backpacking checklist a must-have. Ounces and pounds matter when you’re hauling it around on often uneven terrain. But there is a fine line that you have to toe. First, the chances are that you are in a remote place. You can’t just run to Walmart to pick up the toothpaste you forgot. You have to pack it into your site. Then, there’s the issue of comfort and convenience. Sure, it’s a challenge but a good kind of one—as long as you have the essentials. I’ve been camping for over 20 years. I’ve learned a few things from countless trips, both good and bad. I’ll go over what you need to put on your backpacking checklist along with some tips to make your hike more enjoyable. There are two things you must do before you start packing, check out the forecast and the trail. The first one is a no-brainer. I mean, if they are predicting storms, it’s best to postpone your trip. Likewise, if there are heat advisories and warnings, give it a pass, i.e., unless you like that kind of challenge. Also, take the time to pull out a topo map to see the lay of the land. Whether you’re traversing wetlands, forests, or open prairies will make a big difference in the gear that you’ll need. It’s tempting to pack stuff for every kind of situation. But it doesn’t make to overload your backpack. If you’re hiking at a park or designated trail, read the description of it including its difficulty level. Know ahead of time what to expect. Some surprises aren’t welcome. Trust me on that one. Before I launch into listing what to pack for backpacking, I want to offer some advice on some things you should take prior to your trip. Think of it as PSA. After all, hikers look out for other hikers. Telling your family or at least a friend where you’re going. If possible, include a printout of the topo map with your route highlighted. Check to make sure your backpacking equipment is in good shape along with any gear you’re taking along with you. Double-check that the site and the trails are open. Review your checklist for any omissions. These things are common sense, so don’t neglect them. 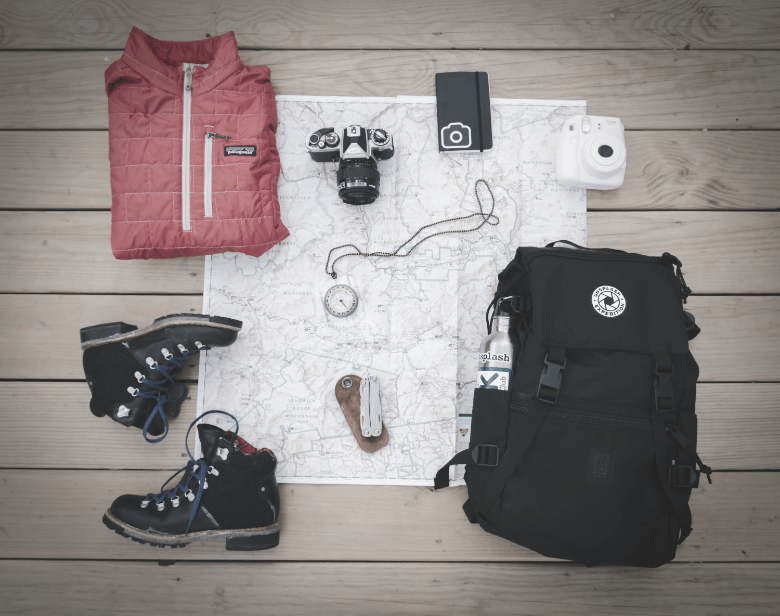 Now, let’s get down to making your backpacking checklist. I’ve divided it up into subcategories. I find it easier to stay focused on one aspect at a time instead of pulling things together randomly. It’s doesn’t differ too much from what you’d pack for camping or even a hotel trip. You have a limited amount of space in which to store your stuff. You have to organize it well. The trump card is weight. I’ll talk more about that bit later. I usually take some kind of pain relief with me when I backpack. The first day is always the hardest—and I feel it too. Here’s a tip to store away for a rainy day. Excedrin has caffeine in it. If you need a bit of a jolt, it’s a quick way to rev up your energy levels. Don’t skimp with the sun protection. Even if you’re in the woods, you’ll still need it. Go with something that is SPF 30 or even higher. And apply it frequently, especially if you’re sweating a lot. Some of you may object to the use of DEET. However, the US Environmental Protection Agency has reports from virtually every state in the country for Lyme disease and other nasty illnesses. Don’t risk it. And remember to keep your driver’s license with you at all times. Some extra cash doesn’t hurt either, including some change. Yes, phone booths still exist. This part of the list is subjective. My suggestion is to wear less than you think you need or at least dress in layers. You’re going to burn some significant calories hauling a pack, especially if you’re hiking over rough terrain. Nothing is more miserable than getting caught in the rain unprepared. Make sure you pack the first thing on this list even if it’s an emergency poncho. A hat of some sort is essential. Make sure it has a visor too. Your eyes will thank you. If you’re traveling near water, you can carry less and wash anything with your biodegradable soap. Of course, there are other items you’ll need like underclothing. I’ll leave that call to you. You can quickly go overboard with the extras. It’s one area where you may need to rein it in to avoid overpacking. Stick to essential backpacking gear. I mean the things that you need for survival and safety. I don’t care what techie GPS app you have on your smartphone, always bring a map and compass. Until you get out there, you don’t know what cell coverage is. And you’ll have trouble picking up satellites in heavy woods or in canyons or valleys. No, cloud cover doesn’t affect it. I typically throw in a repair kit for my gear. In all the years I’ve been camping, I’ve only used it once or twice. But if I didn’t have it, I would have regretted another night sleeping on a leaky air mattress. I didn’t elaborate on food and meals wither. I believe those are personal decisions. The one caveat I’ll add is to keep the weight in check and make sure the emphasis is on quick and easy. Oh, and did I say coffee? It’s another area where scoping out the trail can save you time and ounces. If there are shelters and fire pits along the trail, you can leave out some of your kitchen gear. That can save a lot of weight. It also gives you a chance to make some bigger meals too and maybe throw in an extra pair of socks or a book. Snacks aren’t just a fun treat on the trail. They often mean the difference between an enjoyable trip and an awful one. Remember what I said about the calorie burn? You’re going to tap your body’s stores of energy fast. Replenishing them is vital. And hitting the wall is no fun. All right, now that you have your stuff together let’s move on to how to pack it and other suggestions for a pleasant trip. These are the kinds of things you pick up from experience. And she’s an excellent teacher if you pay attention. 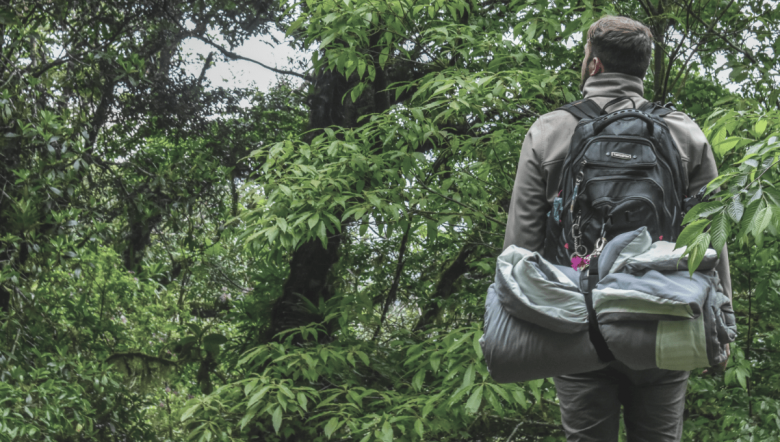 The best advice about packing involves several layers or zones within your pack that optimize the use of space and accessibility. The first thing to go in is the stuff you won’t need until you’re ready to set up camp, assuming, of course, that you’re camping too. There is an art to it. That will include your tent and sleeping gear and perhaps what you’ll wear when you turn in for the night. Next, it’s the other things you need when you’ve stopped like cooking items, meals, and the like. Then, comes the just-in-case things like your shell and that first aid kit. You did pack one, right? Blisters, cuts, and scrapes happen no matter how careful you are. Finally, there are the essentials. The chances are that your backpack has several outer pockets all around it. That’s where you should put the things you’ll use a lot like your sunscreen and insect repellent. If you’ve used something more than once, it’s a good candidate for these places. Make sure to have some snacks handy to keep you fueled up along with your water bottle. I’d suggest using the same ones for different items each time you go backpacking. It’ll make life more pleasant on the trail instead of spending precious daylight looking for stuff. Bear in mind that men and women have a different center of gravity which will influence the weight distribution in your pack. For men, it’s in the shoulders. For women, it’s at the hips. Plan on carrying around 50 percent of the total for the area that applies to you. I’ve picked up a few other helpful tips throughout the years that I want to share with you. The best advice I’ve ever received is to pack everything and then weigh and heft my backpack. You don’t know what 25, 30, or even 40 pounds feels like until you do. Most experts suggest starting at 25 pounds. It’s a manageable weight that still gives you some wiggle room either way to tweak it. And remember that if you’re backpacking with someone else, you can split the essential gear to make it easier for both of you. Let’s talk about bugs again. When you’re backpacking, you’re in the center of tick territory. Think thick woods and tall grasses. As long as the temperature is above freezing, you’re at risk of getting an unwanted hitchhiker on you or your gear—or both! That’s why I always treat gear and clothing with a permethrin spray. It’ll last for a few outings. Unfortunately, I learned this tip the hard way. Imagine this scenario. I’m all geared up, ready for some quality wilderness time, and I’m at the trailhead. I didn’t walk 20 feet before I looked down to see my boots covered in ticks, and I mean covered. I doused myself with bug spray and still finished the trip. But I don’t remember not feeling itchy the whole time. It doesn’t matter if you’re hiking someplace less remote either. A buddy of mine came home from a day trip at the nearby state park. A few days later, we’re out fishing. He takes off his shirt and what do you think is on his back but a big bullseye rash. The short story is that he’s fine now. But he never forgets to treat his hiking stuff before an outing. And neither do I. A backpacking checklist evolves with each trip. You can tweak it based on your experiences to refine it to fit your style of hiking and the conditions of the site. In fact, I strongly urge you to do it. If you want to get fancy and add notes for each trail if you find it helpful. You may think it’s overkill to go through all this trouble. But, believe me. It only takes one time to forget that one thing that’ll make it time well-spent. Never leave home without it.